I am always looking for new products out there that are both fun and educational for my little guy-especially since Kindergarten is right around the corner. When my good friend told me about Kiwi Crate, I was enthusiastic about such a great product and immediately signed up for a membership. 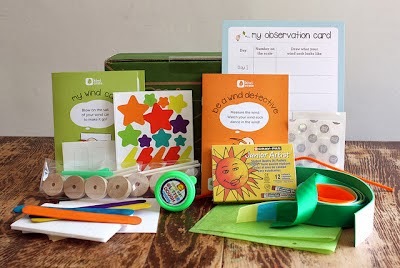 Kiwi Crate focuses on engaging activities that are well-balanced-focusing on geography, science and math. In addition the activities are centered around creativity which allows little one's imagination and creativity to flourish-all at the same time they are learning something neat! Each 'crate' comes with everything that you need from scissors and markers to the materials needed for the activity. I signed up for the monthly subscription and am looking forward to my first shipment. I am so excited to get T's imagination flowing and help him learn at the sam time!